For over 100 years, Cascina Adelaide has been making high quality wines defined by their own "Cru" vineyards. In Piedmont, like in many other regions, "Cru" vineyards are recognized on the basis of their unique Terroir characteristics (exposure, altitude, climate and soil characteristics) that are capable of producing the highest quality grapes in the region. Despite its location just below the Castello di Barolo, Cascina Adelaide was basically unknown outside the local area until Amabile Drocco bought the property in 1999 and modernized it. Investment was made in new equipment, a top agronomist and winemaker were engaged, and a new, ultra modern, state-of-the-art gravity-fed winery building was added on the property. The last ten years slowly witnessed the ascension of Cascina Adelaide to the top tier of the best Barolo producers. Cascina Adelaide's wines have a unique style. Sergio Molino crafts modern Barolos of great depth with a traditionalist touch. Young, his wines are quite approachable, fruity and full, yet with a bit of time they reveal harmonious and complex mouth-feel with traditional characters, unique to some of the better Barolo producers. Obviously, the “Cru” vineyards Barolo (Per Elen, Preda and Cannubi) are excellent, more especially the 2001, 2004 and 2007 vintages which were some of the best vintage of the last decade in Piedmont. However, their Langhe(s), Dolcetto and Barbera(s) are delightful too. The 2007 vintage was quite excellent in Piedmont overall and produced wines with interesting ageing potential that have a lot of ripeness and tannins. Due to high temperature during the summer and harvest season, the tannins and the alcohol content of certain Piedmont wines may accentuate a touch of bitterness, and due to lower acidity, compared to 2006, they may offer more fruit and richness upfront, but overall less balance, freshness and ageing potential than expected. 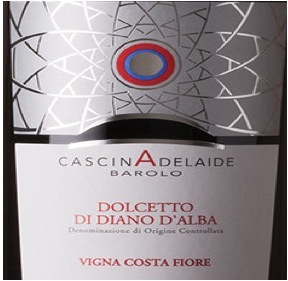 However, although quite young, this 2007 Dolcetto is beautifully balanced with chewy tannins, attractive earthiness and length. It was made from grapes of their vineyard located in Diano d’Alba. The 80 years old vines are planted on sandy and white clay soils.After traditional fermentation in stainless steel tanks occurred, the wine left on his lees for a short period of time and remain 4 months in steel vat before bottling, with another month in bottle before release. It didn’t see any oak treatment. The resulting wine shows a garnet color with slight violet reflects. The nose is quite intense and warm with dark ripe cherry fruit, earth and minerality. The palate is still a bit tight, yet it already offers rich flavors of dark fruit, wild berries and spice. The palate is fairly soft, round and rich with good tannic structure. It may need a little decantation to fully open.